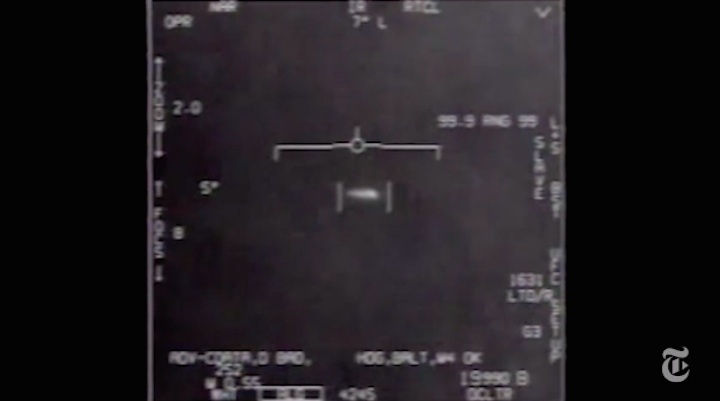 A video shows a 2004 encounter near San Diego between two Navy F/A-18F fighter jets and an unknown object. It was released by the Defense Department's Advanced Aerospace Threat Identification Program. By Courtesy of U.S. DEPARTMENT OF DEFENSE on Publish Date December 16, 2017. Photo by U.S Department of Defense. 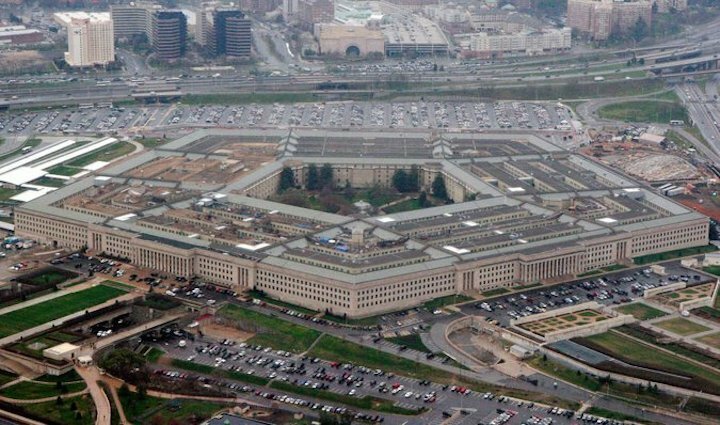 The Pentagon, at the direction of Congress, a decade ago quietly set up a multi-million dollar program to investigate what are popularly known as unidentified flying objects—UFOs. The Advanced Aviation Threat Identification Program, whose existence was not classified but operated with the knowledge of an extremely limited number of officials, was the brainchild of then-Senate Majority Leader Harry Reid (D-Nevada), who first secured the appropriation to begin the program in 2009 with the support of the late Senators Daniel Inouye (D-Hawaii) and Republican Ted Stevens (R-Alaska), two World War II veterans who were similarly concerned about the potential national security implications, the sources involved in the effort said. 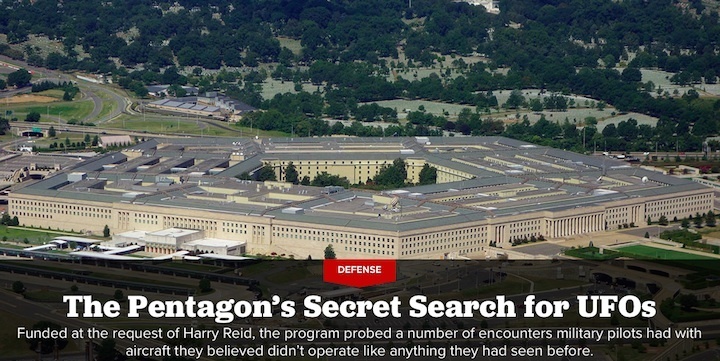 The origins of the program, the existence of which the Pentagon confirmed on Friday, are being revealed publicly for the first time by POLITICO and the New York Times in nearly simultaneous reports on Saturday. 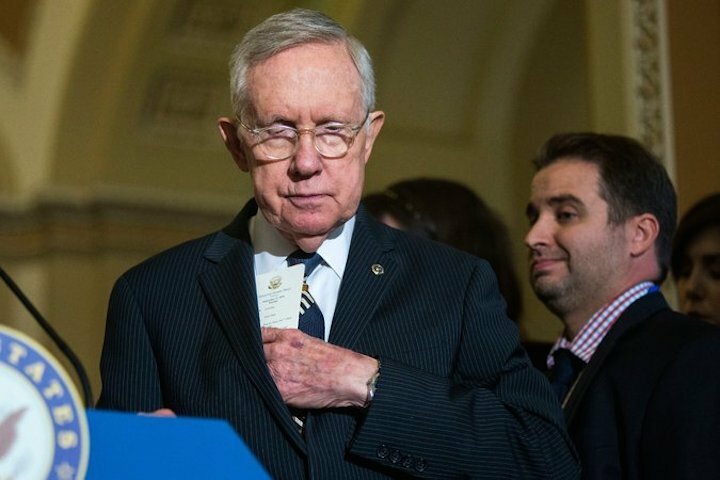 Reid initiated the program, which ultimately spent more than $20 million, through an earmark after he was persuaded in part by aerospace titan and hotel chain founder Bob Bigelow, a friend and fellow Nevadan who owns Bigelow Aerospace, a space technology company and government contractor. Bigelow, whose company received some of the research contracts, was also a regular contributor to Reid’s re-election campaigns, campaign finance records show, at least $10,000 between 1998 and 2008. 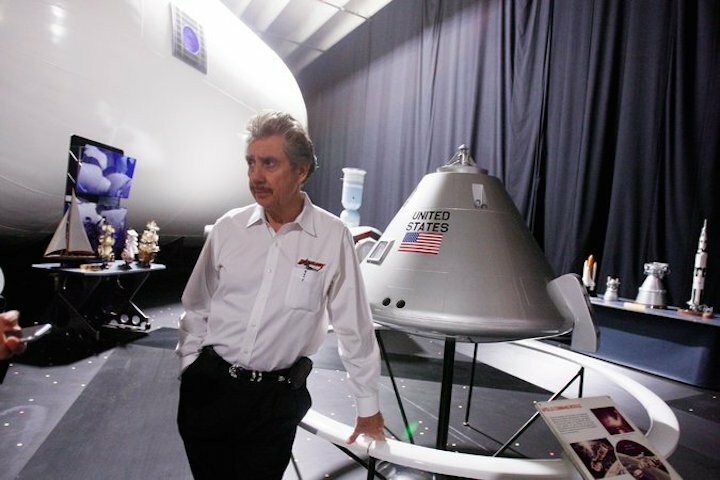 Bigelow has spoken openly in recent years about his views that extraterrestrial visitors frequently travel to Earth. He also purchased the Skinwalker Ranch in Utah, the subject of intense interest among believers in UFOs. Reid and Bigelow did not respond to multiple requests for comment. According to a Pentagon official, the AATIP program was ended “in the 2012 timeframe,” but it has recently attracted attention because of the resignation in early October of Luis Elizondo, the career intelligence officer who ran the initiative. In his resignation letter, addressed to Secretary of Defense James Mattis, Elizondo said the efforts of his program were not being taken sufficiently seriously. The Pentagon official could not confirm Mattis had actually seen the letter. 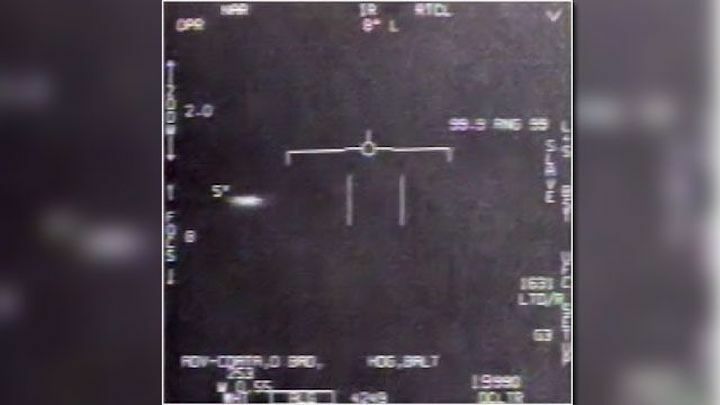 At a recent press conference for To The Stars in Las Vegas, Mellon described one of the sightings reported by U.S. Navy pilots: "It is white, oblong, some 40 feet long and perhaps 12 feet thick…The pilots are astonished to see the object suddenly reorient itself toward the approaching F/A-18. In a series of discreet tumbling maneuvers that seem to defy the laws of physics. The object takes a position directly behind the approaching F/A-18. The pilots capture gun camera footage and infrared imagery of the object. They are outmatched by a technology they’ve never seen." The Pentagon’s AATIP program marked a 21st century effort to replicate some of the decades of inconclusive research undertaken by the Pentagon in 1950s and 1960s to try to explain thousands of reported sightings of unidentified flying objects, or UFOs by military and civilian pilots and average citizens—particularly an effort known as Project Bluebook that ran from 1947 to 1969 and still a focus of intense interest for UFO researchers. There was also interest among some analysts at the DIA who were concerned that the Russians or Chinese might have developed some more advanced systems. 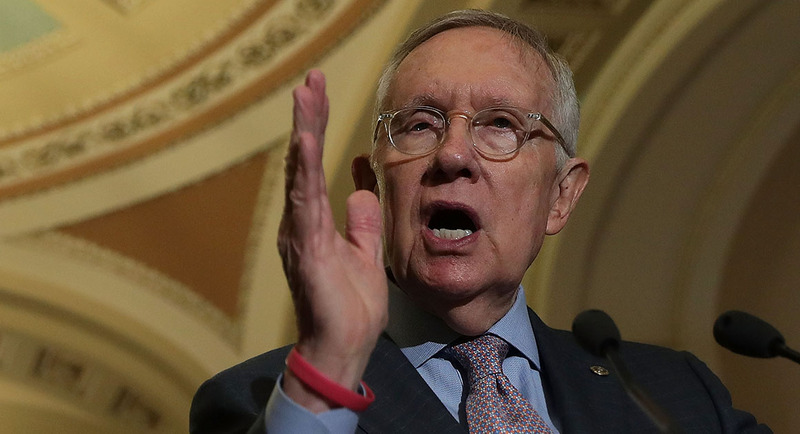 Reid’s views on the subject were also shaped by a bookabout the Skinwalker Ranch, co-authored by his acquaintance George Knapp, the former congressional staffer said. 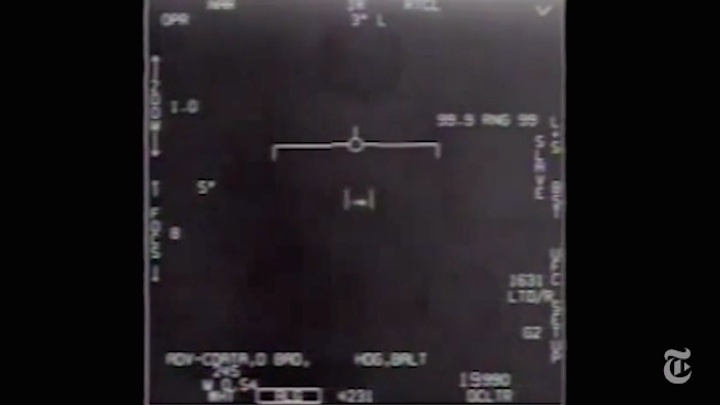 Im Fokus: A video shows a 2004 encounter near San Diego between two Navy F/A-18F fighter jets and an unknown object. 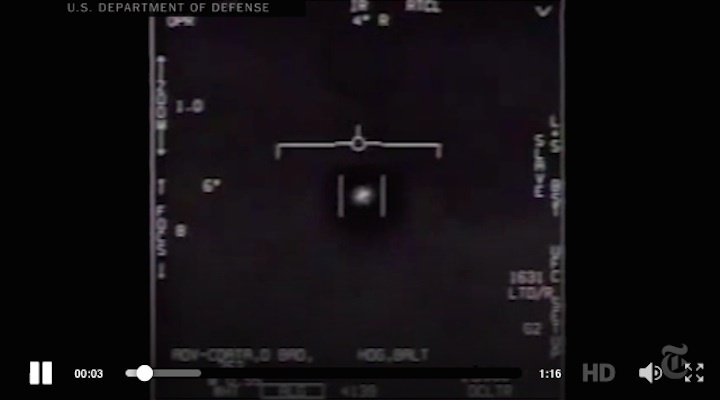 UFO researchers around the world have been abuzz in recent weeks about a video supposedly shot in 2004 from a Super Hornet fighter jet based on the carrier USS Nimitz. The story first came to light in a 2015 article in fightersweep.com – and the tale was rekindled exponentially when former Blink-182 frontman Tom DeLonge referenced it Oct. 11 during his announcement about the creation of his To The Stars Academy of Arts and Science. Author John B. Alexander of Las Vegas believes the incident happened, but he hasn’t confirmed the video. Alexander – whose books include “UFOs” Myths, Conspiracies, and Realities” -- told FOX5 he believes the video originated with the U.S. Navy. 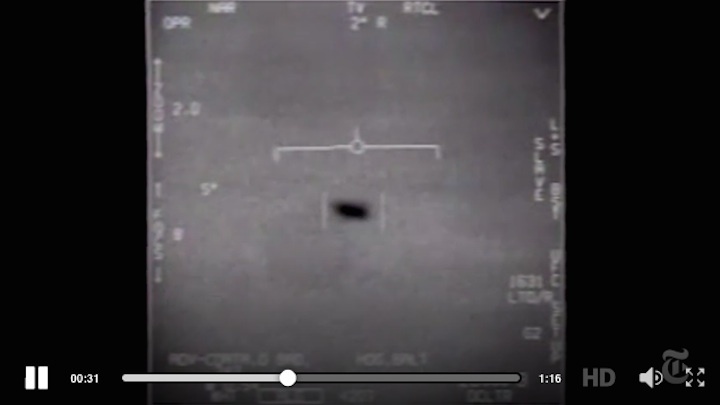 DeLonge didn’t show any video from the 2004 incident with the Nimitz and various UFOs about 100 miles from San Diego but he has teased that one of the group’s goals is to release such previously classified video and documents. 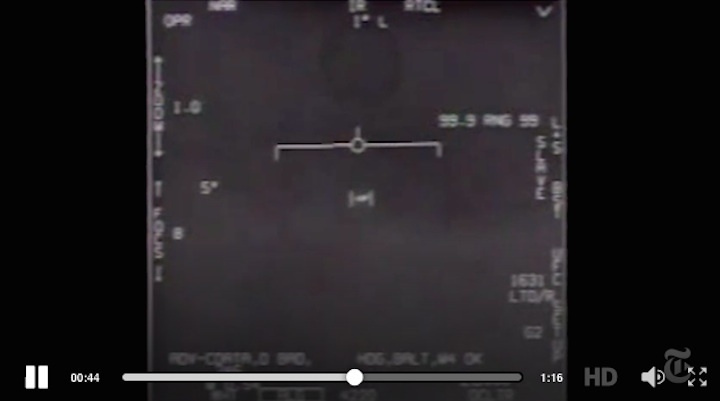 Since the announcement, what could be described as video from the display the pilot sees has popped up in several places on Youtube and other internet sites. The origin of the video is uncertain, although two UFO researchers say it first appeared in 2007 on what they describe as a website run by German film students. Researcher Isaac Kol lives in London and sometimes posts on the Web forum Above Top Secret. Back in 2007, I tracked the first online copy of the video back to the website of a group of German film students that specialized in creating science fiction movies with lots of special effects (Vision Unlimited). 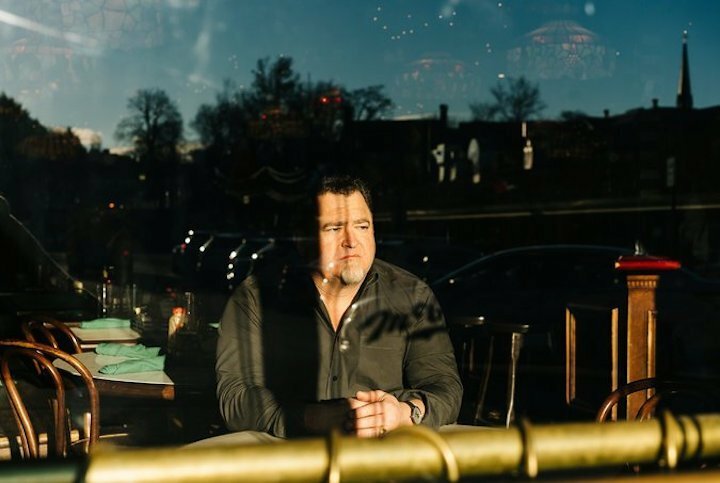 Robert Powell lives in Austin, Texas, and publishes on the Facebook page Scientific Coalition for Ufology. Powell has filed a freedom of information requests to obtain all the documentation he can about the November 2004 incidents with the Nimitz. Alexander noted he believes audio tapes of the pilots communicating with flight control also exist. 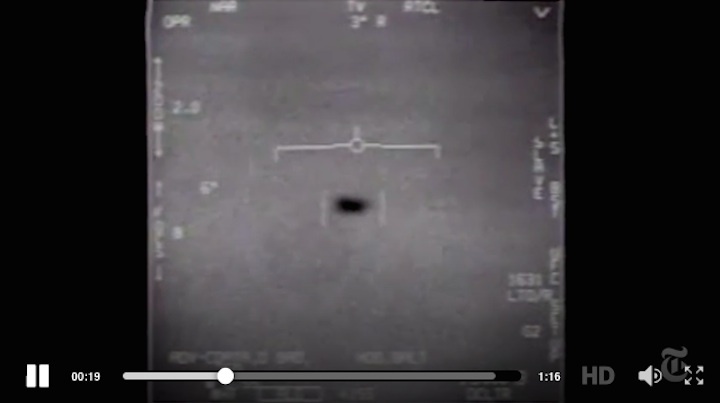 One reason researchers found this video so intriguing is the way the UFOs baffled the Navy’s best fighter jets and radar systems in the days around Nov. 14, 2004. The story on fightersweep.com described the anomalous aerial vehicles as dropping from above 80,000 feet, according to radar returns and then hovering 50-feet off the water within a matter of seconds.